Store your clothes and accessories in style by having a walk in wardrobe installed in your home. Maximize your space and customize a little used area while adding a personalized touch to your storage. Being able to easily access your apparel saves you time and energy. Forget about diving into a pile of clothes or matching shoes tossed about in a haphazard fashion. Being resourceful with space you may not be using effectively can help you create room for your walk in wardrobe. A spare bedroom, loft or other little used area may be the perfect spot for your wardrobe. Ignored spots like loft conversions are ideal good matches for your creation. These areas provide you with natural light so you can see yourself in mirrors and since you’re not using these spots anyway it makes sense to convert a loft. If you plan to check out your duds you’ll need both mirrors and light. You can use lights built into your custom made bespoke wardrobe or sky lights to maximize natural lighting in the area. Don’t build a walk in wardrobe in areas of your home which receive little natural lighting. Observing how your clothes look solely through ceiling or mirror lights doesn’t paint clear picture of how you’ll appear outdoors. Use cream and white colors to make your wardrobe pop. Dwell on the principle of contrast. You’ll likely have a few articles of white or lighter shaded pieces of clothing but most of your apparel will probably carry darker tones. Design your walk in wardrobe with light colors to make your apparel stand out. Your wardrobe will look spacious and invigorating. You can use darker colors if deeper tones catch your fancy. Listen to your personal preferences before picking colors for your wardrobe. Create the illusion of increased space through the use of mirrors. Reflect light around the area and make sure you look good when applying make-up, trying on your clothes or picking pieces of apparel. Consider mirrored wardrobe doors to create a modern feel to your wardrobe. Mirrored doors help to organize the area. These accessories hide your belongings and add an appealing touch to the area. 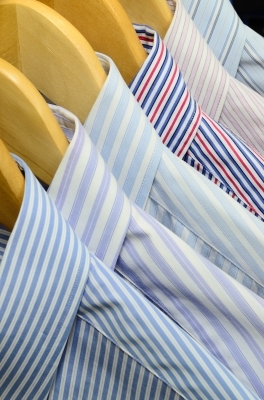 Dressings, trousers, shirts and shoes should each have a dedicated space inside wardrobe. Access each item quickly and easily in an organized, effective manner. Keep clothing and accessories separate to avoid sifting through mounds of dresses or shirts for the perfect outfit for the occasion. Reduce clutter by using a vanity in your walk in wardrobe. Jewelry, cosmetics and other small items should be stored in drawers and shelves to keep things organized. Keep pricey cosmetics, rings and necklaces out of your children’s sometimes less than delicate hands. Adding photos and other personal items to your walk in wardrobe helps you to feel at home. Consider adding decorations to customize the area. Personalizing your walk in wardrobe makes the space feel warmer and more comfortable.